Call us, it’s completely free. Either give us a call on 0800 505 3454 or fill in our enquiry form below and we’ll get in touch. Cheshire Removals offer packaging supplies for your house moves. Let our team of expert movers take the stress. Why do people trust Cheshire Removals? We’re a family run firm with years of experience in taking care of your goods large and small. With thousands of satisfied customers it’s easy to see why more and more people come back to Cheshire Removals to move themselves or their familes time and time again. Whether it’s just storage or a completely managed move in the UK or overseas we have the experienced staff to help. At Cheshire Removals we have over fifty years removal experience as a family run firm. Our team take pride in their work and ensure that your possessions are treated with the same care and attention that you would use. From the initial planning of the job to the finishing touches as we unload, Cheshire Removals ensure that you are 100% satisfied with our work and many of our customers come back to us again and again. Local friendly Handforth Removal company Cheshire Removals is the one for you. Most of our employees have over 10 years service and we have been operating in the area for over 30 years. Many clients in Handforth want our packing services using specialist materials to ensure all your goods arrive intact. When looking for removal firms in Wilmslow you need to be sure that the company you choose will take care of your property as if it was their own. Here at Cheshire Removals we have years of experience in moving people across the UK and the world from our base in Cheshire. Our expert team will take care of as little or as much of the process as you would like and will put together a package that suits your needs. We can also offer storage facilities at excellent rates if needed. For all enquiries call 0800 505 3454 to discuss your removal in Wilmslow today. If you’re looking for to move in or out of Prestbury look no further than Cheshire Removals. Many houses in Prestbury are large 5 bedroom houses. Specialist vehicles are needed to move the amount of furniture. At Cheshire Removals we have 25 years experience working in Prestbury and satisfying the needs of the area. Customers in Prestbury also find our packing services make the move so much easier. No need to spend weeks packing your own kitchen and bedrooms and garages. Our trained teams do it all for you with purpose designed boxes and materials. 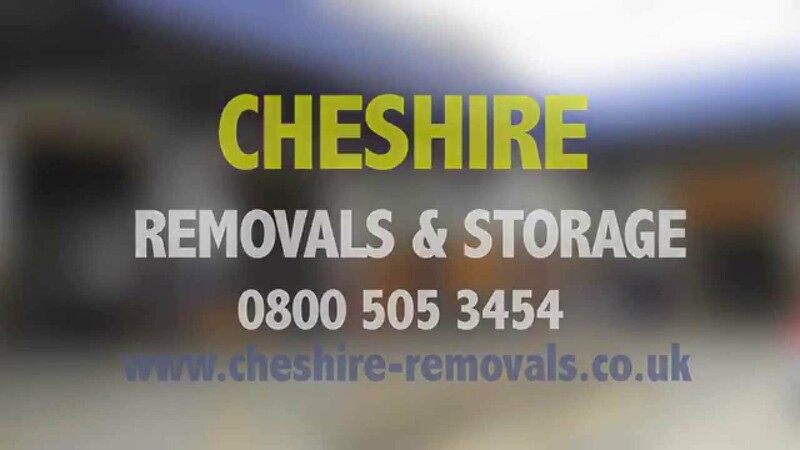 Come and take a look at our new video showing what we can offer you at Cheshire Removals. Please see our promotional video here. We’ve produced a new brochure outlining some of our services. To take a look just click here.